AVIXA senior VP of expositions and events Jason McGraw called this performance with The Smithereens at InfoComm 2006 among his career highlights. 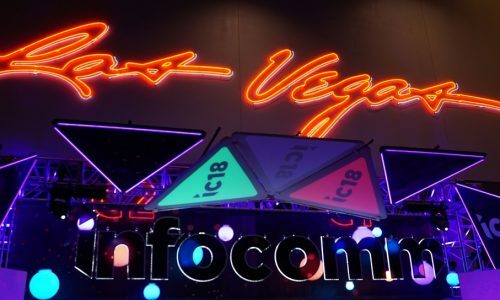 Think of what the annual InfoComm show—whether in Las Vegas, Orlando or Anaheim for those who go back a lot longer than I do—used to look like, sound like and feel like. 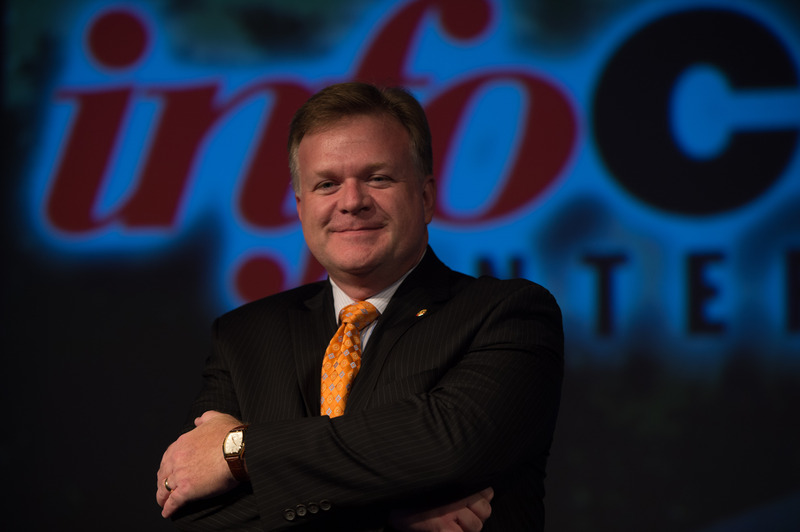 Now picture what you experienced in June during InfoComm 2018 and how much the largest pro AV show in North America has transformed under Jason McGraw’s leadership. While McGraw has already begun working on the 2019 InfoComm show (he told us in 2016 it takes 15 to 18 months to plan each year’s show), he won’t be around to see the final results. That means McGraw will walk away after overseeing 25 InfoComm shows during his tenure that dates back to 1990 to 1997 and 2001 until the end of this year. And, while McGraw turned over the oversight of AVIXA’s international trade shows to chief global officer Terry Friesenborg a few years ago, he was a key cog in the birth and growth of those events for many years. He also was part of the committee that hired Mike Blackman as executive director of Integrated Systems Europe, which oversees the largest pro AV show in the world. “It’s incredible how time flies when you’re working on something you truly love and in an industry you have a passion for,” he wrote. McGraw didn’t announce what his future holds and he declined an opportunity for an interview with CI because he felt any attention on him would take away from the work of the association he’s called home for most of the past 30 years. But he doesn’t expect the industry to crumble with his departure. “I will leave AVIXA knowing that the future of the AV industry and the InfoComm show continues in great hands with the excellent AVIXA team that our attendees, exhibitors and members have come to rely upon,” he wrote on LinkedIn. In my June 2016 Back Stage feature on McGraw, AVIXA executive director David Labuskes called McGraw “a mentor” for all of the association’s trade shows. “Every individual I’ve ever seen him interact with has seen a level of professionalism and courtesy that’s almost impossible to comprehend,” said Labuskes. McGraw performed in theater shows in college and was the sound man for Emmet Swimming before making it to InfoComm. 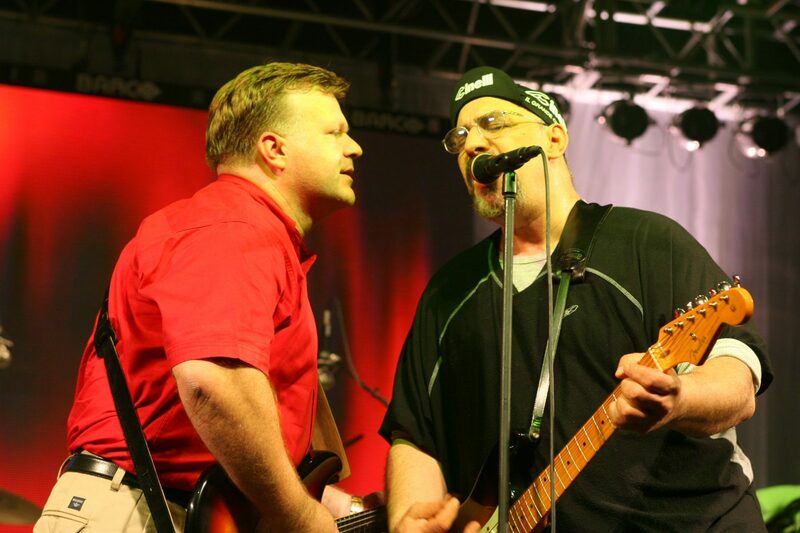 Among his highlights outside of planning the show every year was the chance to play and sing with The Smithereens at InfoComm 2006. McGraw joined AVIXA in September 1990, before leaving in 1997 to work as VP of expositions for the Association of Equipment Managers and then for the National Association of Home Builders. Former InfoComm executive director and CEO Randy Lemke asked McGraw to return in January 2001. “The bar’s been raised at live events and that’s reflected on the floor or the show,” McGraw said in our June 2016 interview. “We’re really trying to improve the experience and expanding the creative palate of expression. “Every time something new, better and cool comes out, it’s like a space race. Planning this show is like planning the Olympics every year. “I’m a glorified wedding planner, so when everyone’s having a good time, it’s really satisfying,” he said. What’s the secret of putting on a good show? “It’s all about planning, planning, planning to make sure all the elements come together on time,” McGraw said in June 2016. Craig MacCormack is a veteran journalist with more than 20 years of experience covering local and national news and sports as well as architecture and engineering before moving into his current role. 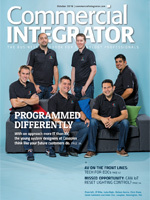 He joined Commercial Integrator in January 2011. 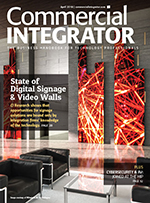 Commercial Integrator is dedicated to addressing the technological and business needs of professional integrators who serve the small and midsize business market. 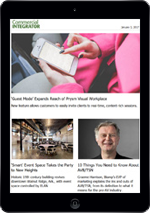 Whether you design, sell, service, or install… work on offices, churches, hospitals, schools or restaurants, Commercial Integrator is the dedicated resource you need.